StarLux airlines, wants help naming its frequent flyer program and elite status levels. The Taiwanese startup is planning to commence operations early next year, initially with Airbus A350 aircraft and then adding Airbus A321neos to their fleet. It’s being launched by Chang Kuo-wei, the former Chairman of Star Alliance carrier EVA Air who was ousted after his father’s death, the victim of an estate squabble stemming from plural marriage. He was son to the founder’s second wife, and ousted by the children of the founder’s first wife. A pilot himself he had flown a company jet to Singapore, and wasn’t even allowed to act as pilot on the way back when this happened. Ousted EVA Air chairman Chang Kuo-wei at the inaugural of the airline’s Taipei – Houston service. He had flown the airline’s Hello Kitty Shining Star Jet to the U.S.
EVA Air itself already has one of the stranger frequent flyer program names, Infinity MileageLands. They won’t do worse than SkyTeam member Czech Air’s OK Plus, which is just a little better than ok., and Xiamen Airlines’ Egret Club which is just too close to Regret. Air Jamaica Seventh Heaven only makes sense if offering an appearance by Jessica Biel at the million mile level. 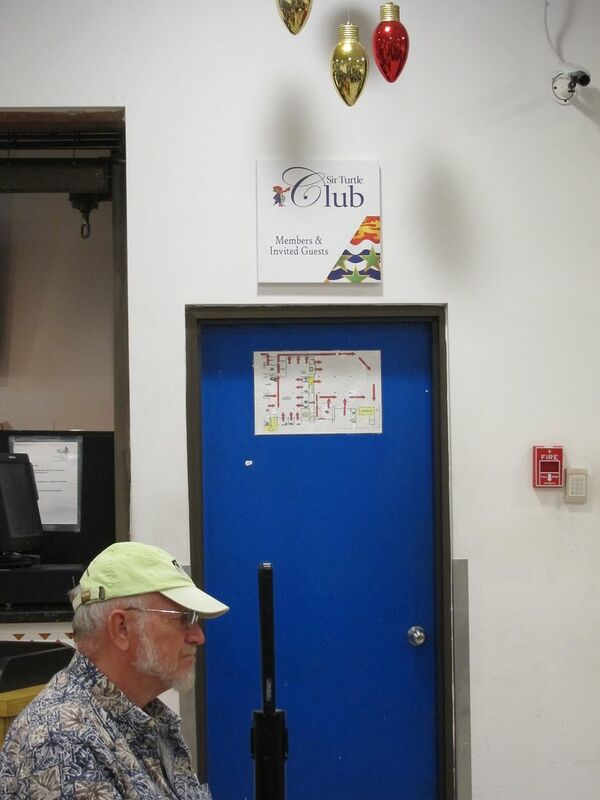 Without status in the Cayman Airways Sir Turtle Club program I lacked access to the Sir Turtle Club lounge. Whatever they choose, it’s important to consult the urban dictionary (NSFW) which Pegasus Airlines failed to do in selecting “Bol Bol” as the name of their new program. And nothing is worse than the new Marriott Bonfire Bonvoy, which isn’t even a worse and cost them millions in consulting and advertising. Or Hyatt’s status levels Discoverist, Explorateur Explorist and Steve Bannon Globalist. Their mid-tier status is especially ironic since World of Hyatt eliminated check-in amenities, you no longer get a cheese plate delivered to your room. Ultimately though it’s not the name of the program that matters as much as the benefits. The core of loyalty marketing is the same worldwide, a mix of recognition and reward. EVA Air is a high quality airline, which makes it easy to offer quality benefits and experiences. And competing against EVA Air (and Taiwan’s China Airlines) means they’re going to have to be aggressive. Infinity MileageLands offers 75,000 or 80,000 mile business class one ways between Asia and the US (depending on the US gateway used) and intra-Asia business awards are just 25,000 miles each way. Gold elite members and higher can use miles for time in a flight simulator. To start things off they could name their program StarLux Starbuck, and offer free coffee to elite members and robot experiences at the top tier. What should StarLux call their program and status levels — and just as importantly what names should they avoid? Avoid any unfortunate rhyming slang with “Lux” ! Name it Galaxy, with Constellation, Star, and Comet as the classes. Giving a nod to Delta’s boarding zones where after eight other categories board they finally allow “Basic Economy” to board, how about: Diamond, Gold, Silver, and Dirt. Take it from an expert and don’t include descriptions meaning “value”. I don’t know anyone who enjoys the “cutesy” loyalty tier names. Is Globalist better than Explorist? How am I supposed to know? Stick with some permutation of bronze, silver, gold, platinum, diamond, etc.